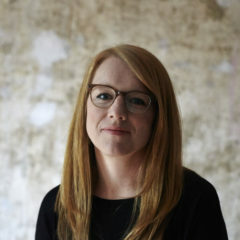 Claire Tailyour is an award winning writer and director of documentary and drama. She studied at USC School of Cinematic Arts and started her career as a self-shooting producer-director for the BBC whilst she made her own drama shorts. She was a Sundance International Scriptwriter Semi-finalist ’15, and a Semi-finalist for The Academy Awards’ Nicholl Fellowship ’08 for her feature script Turnpike. Single camera drama as part of the Directors UK scheme. 30′ documentary for the BBC’s 100 Women season about a group of cheerleading Grandmas in Arizona. Broadcast: BBC, BBC World, Newsnight and PBS. Nominee: Best Investigative Documentary Asian Media Awards ’16. Starring: Olivia Cooke (Me & Earl & the Dying Girl), John Bowe (The Hour, Silent Witness). Funded by Sundance London/Langham. Screened: Buffalo Film Fest ’14 (Best International Short), Eerie Horror Festival ’14 (Best Actress), London Independent Film Festival ’14, Sci Fi London Film Festival ’14. Pilot episode which was then commissioned into a monthly history series. Screened: St. Petersburg, Eerie Horror, Nickel Independent, Strasbourg International and First Look LA. Short series of docu-commercials for Barclays. Commercial documentary for Lancia about urban culture in London. Flagship history and Sony award-winning radio programme commissioned into a television series. Shot in USA, Asia and Europe. Writing a web series based on the tween novels by Tina Wells. Based in Los Angeles.